Uborkasalata translates literally as Dairy Free Cucumber Salad in Hungarian. My mother-in-law serves this simple side dish at almost every holiday meal. I think it is best on a hot summer day; but, it goes very nicely as a compliment to heavy winter meals as well, like Hungarian Goulash. Some versions add a teaspoon of sugar and or use paprika instead of black pepper. 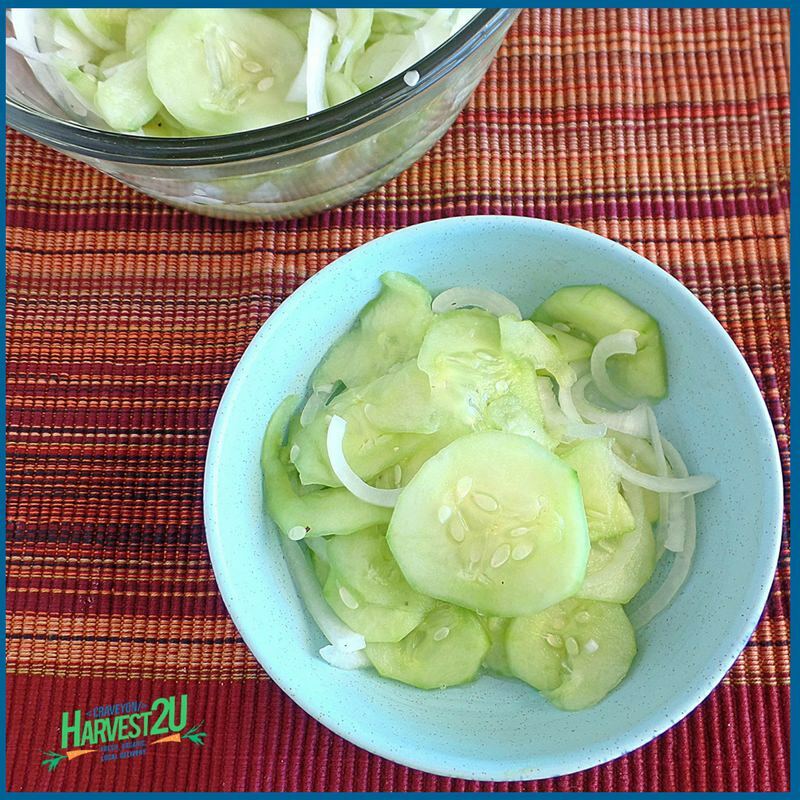 Letting the cucumbers sit in salt before making the salad draws out some of the water, making them more flavorful. Be sure to rinse the cucumbers thoroughly before preparing the salad. And taste before adding more salt before serving. Peel and thinly slice cucumbers. Place in a bowl with salt and let sit 10-30 minutes. Thinly slice the onion. Add to the cucumbers with the water and vinegar and stir gently.